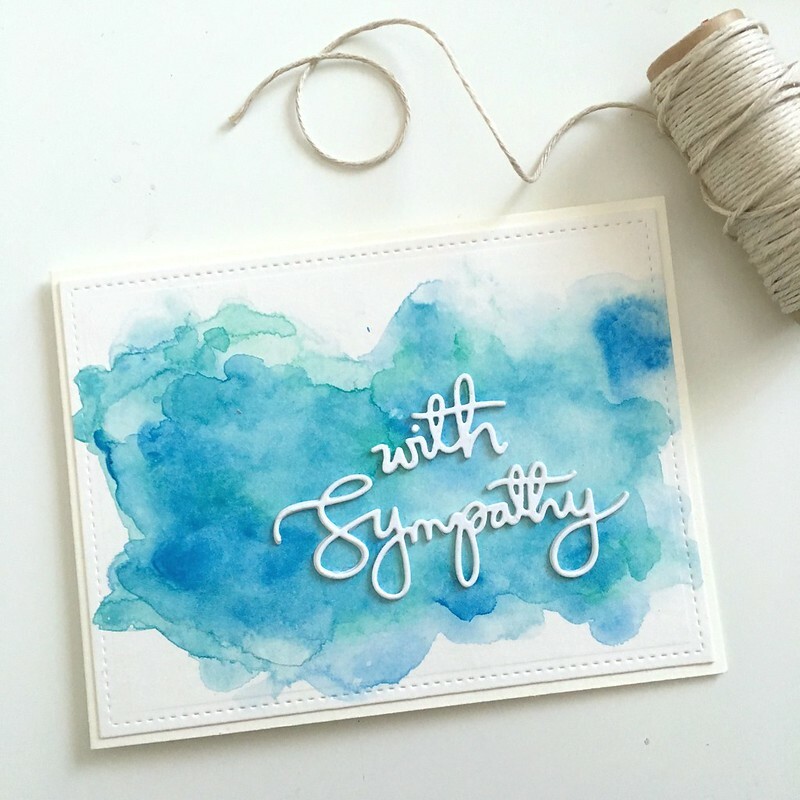 Sharing a very clean and simple card today. 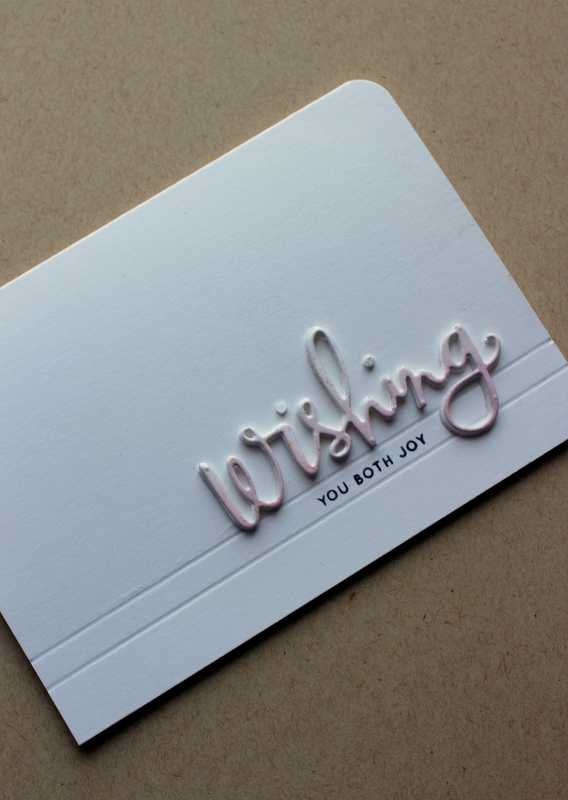 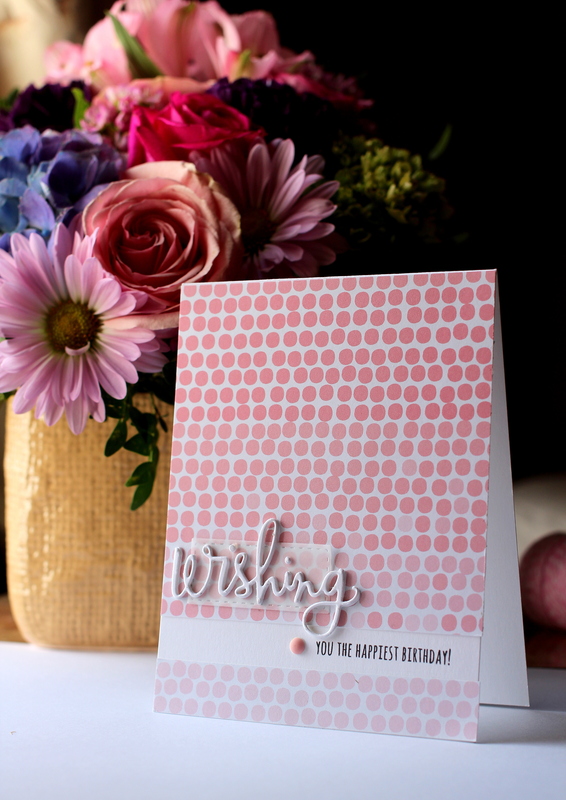 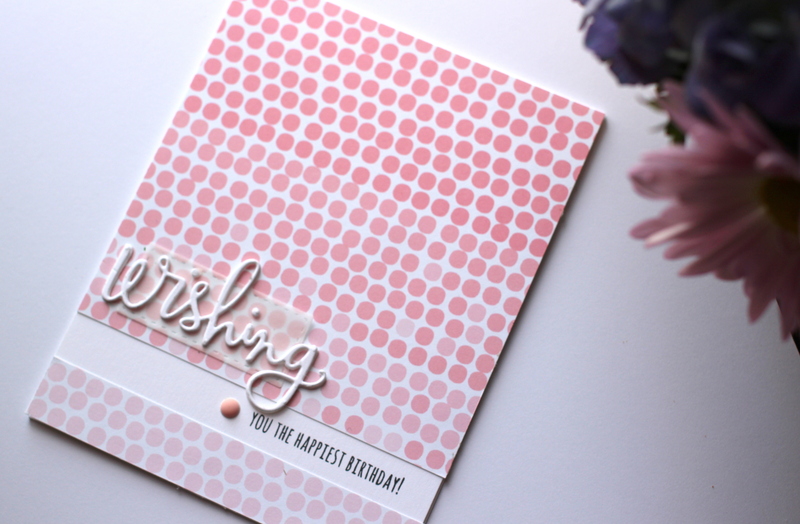 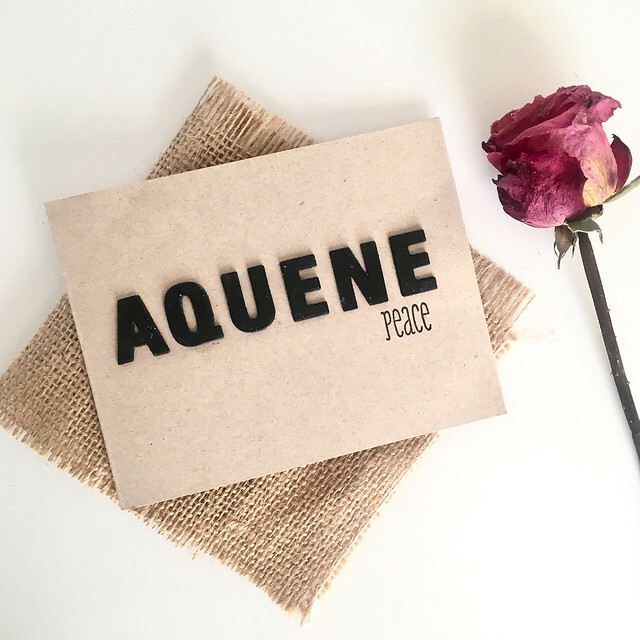 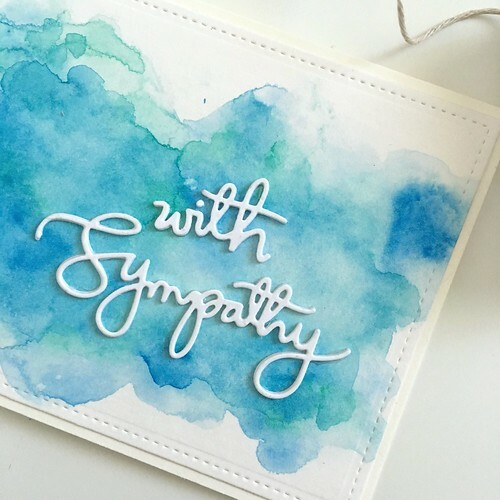 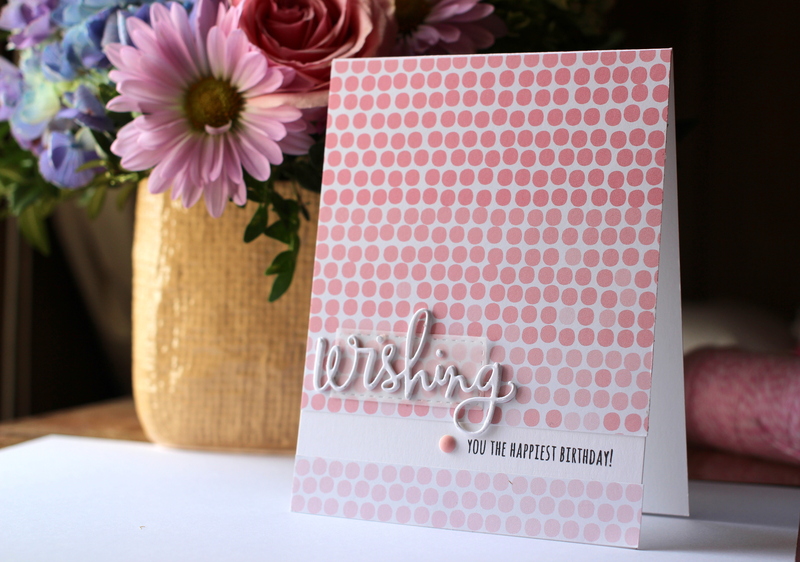 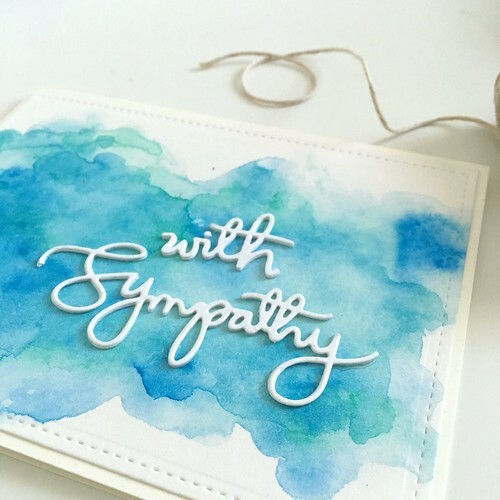 I made this card by first blending some distress ink onto a piece of white cardstock then die-cutting the “wishing” sentiment and layering the colored piece on top of several die cuts of the same sentiment from plain white cardstock. 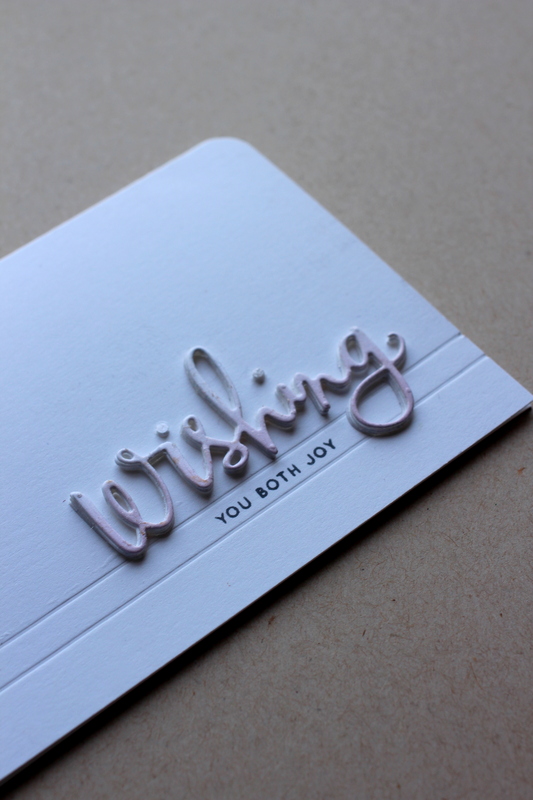 I scored two lines onto the lower portion of my card base, stamped the “you both joy” stamp between the lines (I’m lucky it fit just right, because I didn’t do any measuring) and then glued my wishing sentiment above the top score line.